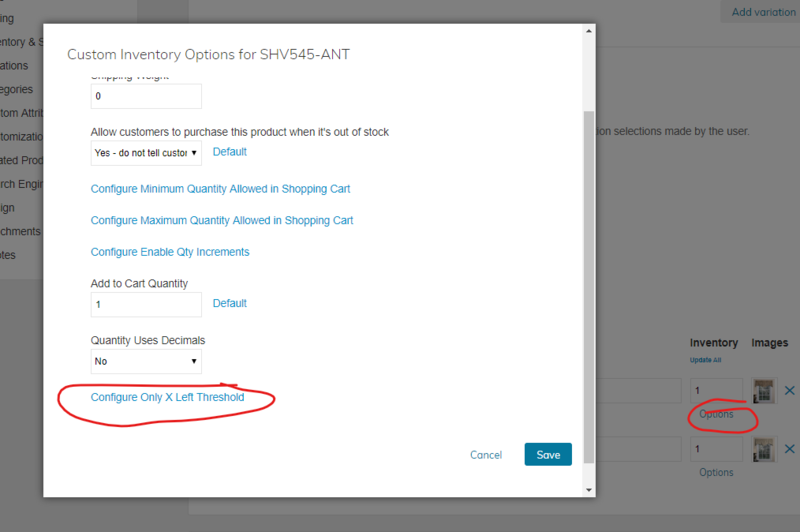 Our previous e-commerce platform allowed more granular control of the low stock threshold to be per product or variant. Currently, we have the threshold at 1 which for some products is all that we want to carry online so it's technically not Low Stock. Low Stock for some products is at 0 others it's at 10. This is causing us to have over 200 products at a time being flagged under the Low Stock tab. 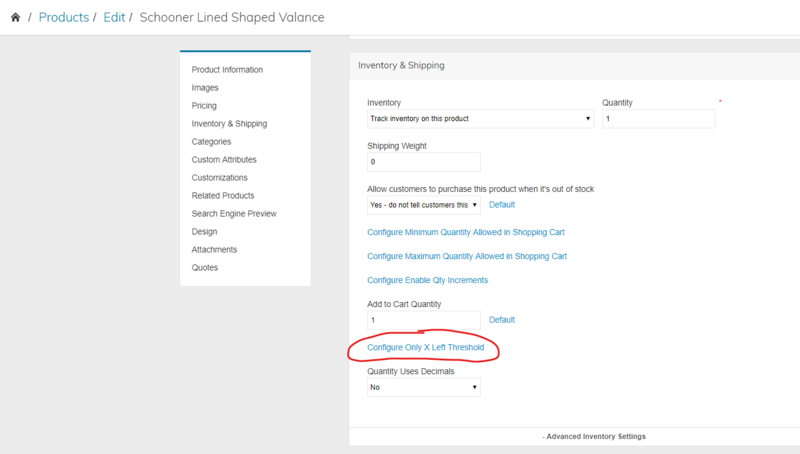 I think the easiest location to place this is under is the recently added "inventory options" that are found per variation under configurable products. Also, if we could eventually upload this information that would be helpful as well. Below is a picture of our old e-commerce platform, the reorder alert was the setting. Please let us know if this helps or if you have any further questions.